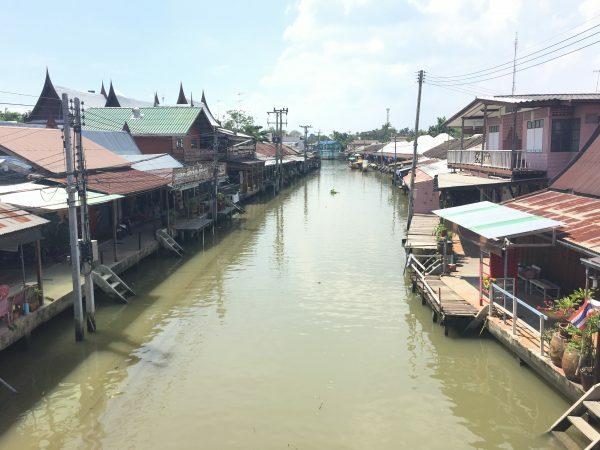 Amphawa is a rural town located in the province of Samut Songkhram in Central Thailand. Generally when someone mentions the world “rural,” the first thoughts that come to mind are, boring, uneventful, middle-of-nowhere. 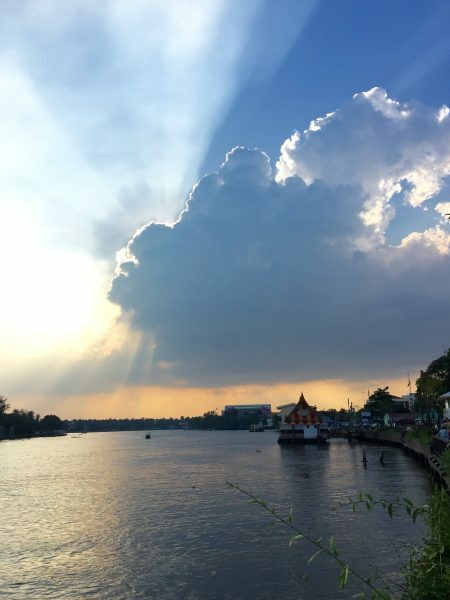 Well, my small town of Amphawa proudly breaks away from that stereotype and is truly a diamond in the rough. I feel privileged that I have been given the opportunity to experience the everyday life of Thailand in this town. On weekdays (Monday through Thursday), Myles and I (my boyfriend) are the only farang to be seen. We enjoy eating out at our favorite street carts and family run eateries- some of which are run by our very own students. 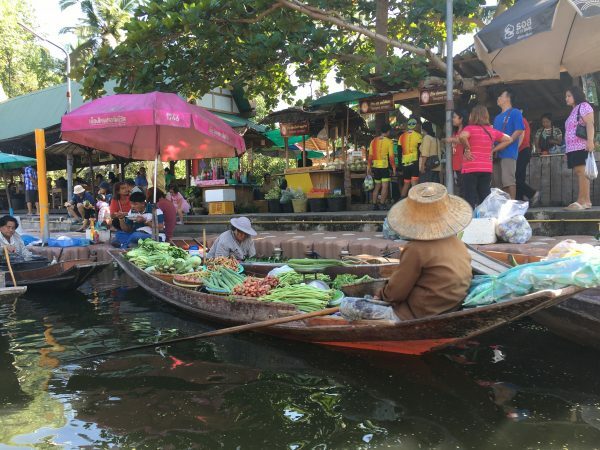 The Maeklong River flows directly through Amphawa, offering some of the tastiest and freshest seafood around. Most dishes are decorated with prawns, squid or clams; all of which were freshly caught that morning. Aside from a 7/11 and mini Tesco Lotus, there are no grocery stores, gas stations or restaurants. You must make the 15-minute trek to the neighboring town to find the luxuries of Big C, KFC and MK restaurants. Rarely do we find ourselves yearning for those unnecessary indulgences. We are happy with our homemade Thai dinners, cooked on the gas stove attached to an old beat-up scooter on the side of the road. Every Wednesday we look forward to an authentic, home cooked meal, courtesy of our kind hearted, “replacement mom”- our landlady. Myles tutors her youngest son and his friend (P6) and I tutor her eldest son (M6). When we finish our English lessons, she hurries over with a tray of steaming hot, mouth watering Thai cuisine. For dessert? A juicy plate of our favorite fruit, Pummelo- handpicked from her family’s very own farm. Weekdays in our small town are quiet, peaceful and relaxing. After school we hop on our hot pink Fino scooter (nicknamed “The Pink Panther”) and drive the 1km home. 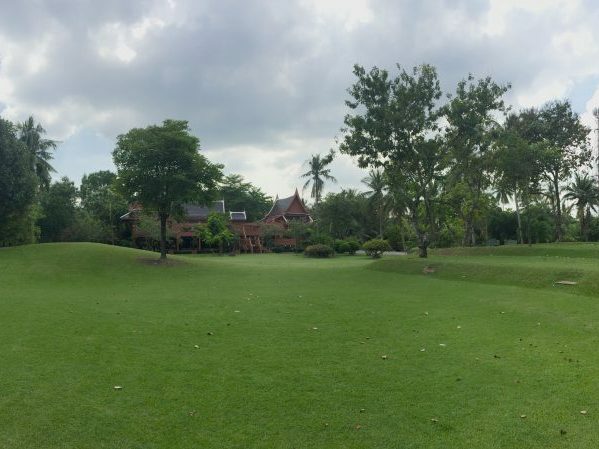 We live on a resort, made up of 4 traditional Thai style houses, complete with a living room, kitchen, and modern bathroom in the downstairs. We never have to feel guilty about staying in, because even when we are “inside” we are outside. The downstairs is an open floor plan- no walls, no problem! There’s always a fresh breeze floating off of the river, a cute frog hopping through or a butterfly zooming past. It’s quite dreamy (if not for the scorpions). The upstairs consists of a small deck with a seating area and two bedrooms (which are enclosed), with a balcony where we often watch the soft pink sunset slowly fade away behind the shadows of the swaying palm trees. A normal weeknight consists of lesson planning, a quick stop at our favorite street cart for dinner, followed by roti for dessert and a few chapters of a Steven King novel or some Netflix before bed- simple is good. We love our town particularly because we have been able to experience all of the most important aspects of the Thai culture- from the different foods, the customs, to our interactions with the locals, it is an experience I will never forget. But on the weekends… that is when our small, rural town really comes alive. 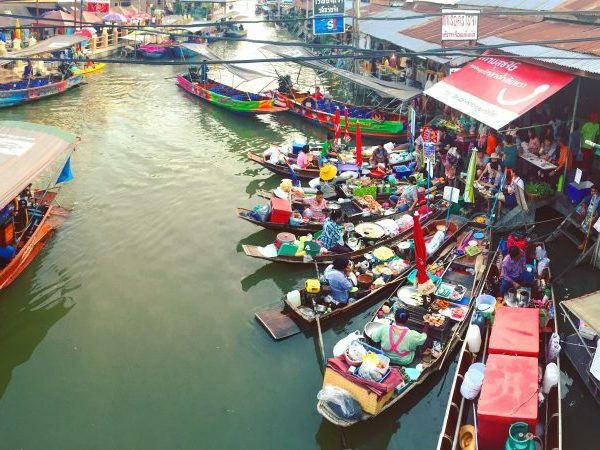 The Amphawa Floating Market is one of the most popular floating markets outside of Bangkok. The food, boat rides, festivities, hand made souvenirs and fun are endless. We enjoy walking around every weekend; people watching, stopping by to say hello to our friends and our students who run different stands along the river, grabbing some coconut ice cream, or sitting in one of our favorite cafes and reading on our Kindles. 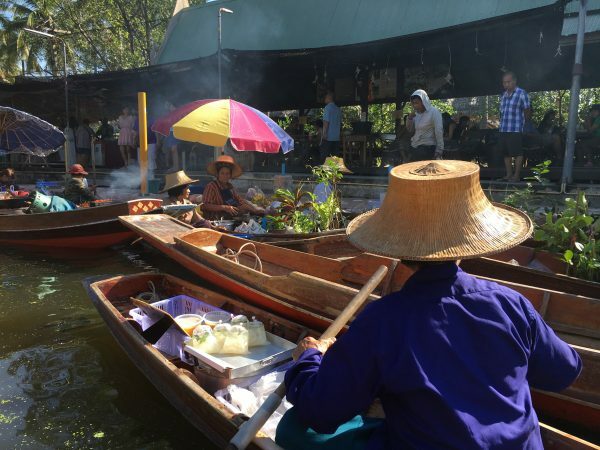 Amphawa has a perfect balance of quiet rural and exotic tourism. I wouldn’t change it for the world.